Sam Etchells, plumbing apprentice at Tameside College, is aiming for national success after impressing judges in a prestigious competition. Sam came second in the HIP magazine apprentice of the year competition north west of England qualifiers, beating students from 11 other colleges ahead of the national finals in March 2019. 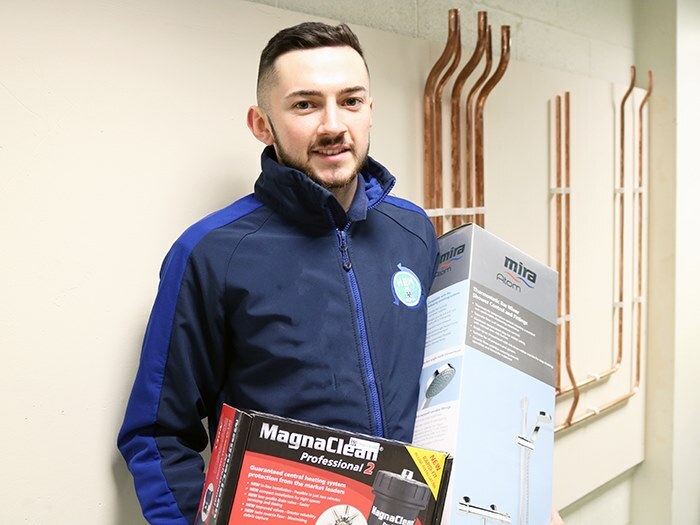 A former Audenshaw School student, Sam has progressed from a level one course to an apprenticeship and is now employed by HEH Home Ltd as a plumbing and heating engineer. Sam will learn if he has qualified for the national finals at the end of February. To find out more about apprenticeships and plumbing courses at Tameside College, visit www.tameside.ac.uk or call 0161 908 6600.